Healthcare staffing can be complicated. BlueSky's complete front-to-back office solution built specifically for the healthcare contingent staffing market makes it so much easier. 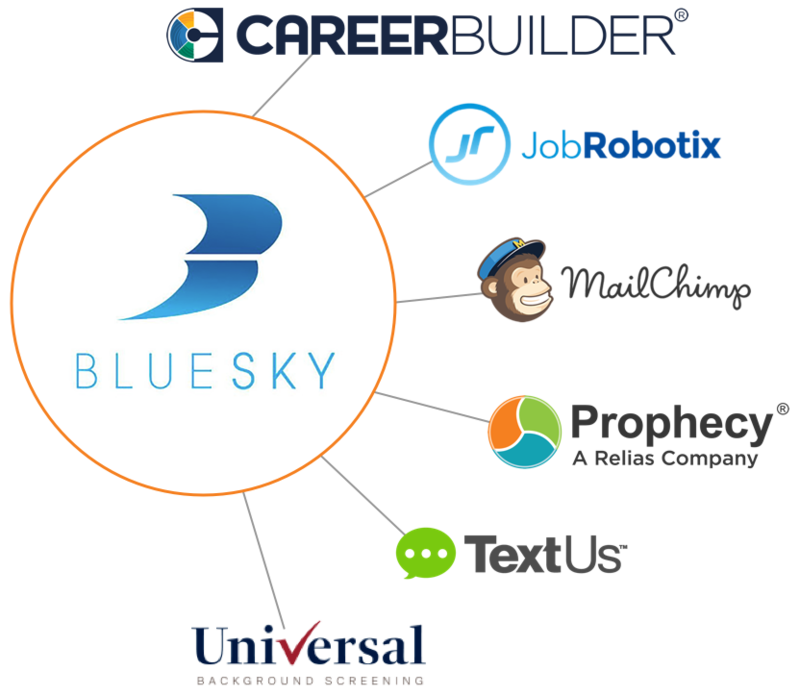 On-boarding technology connects your existing website to the BlueSky Applicant Tracking System (ATS) to create an integrated job board. Candidates can apply on your website and automatically sync within the BlueSky System. Automatically match candidates to jobs based on specialty, availability, and credentials. With integrated GSA rates, set the margins that you want to hit with every placement. Recruiters can plug in everything that they need to give a potential candidate a pay package within seconds. Faster communication means faster speed to market and higher placement rates. 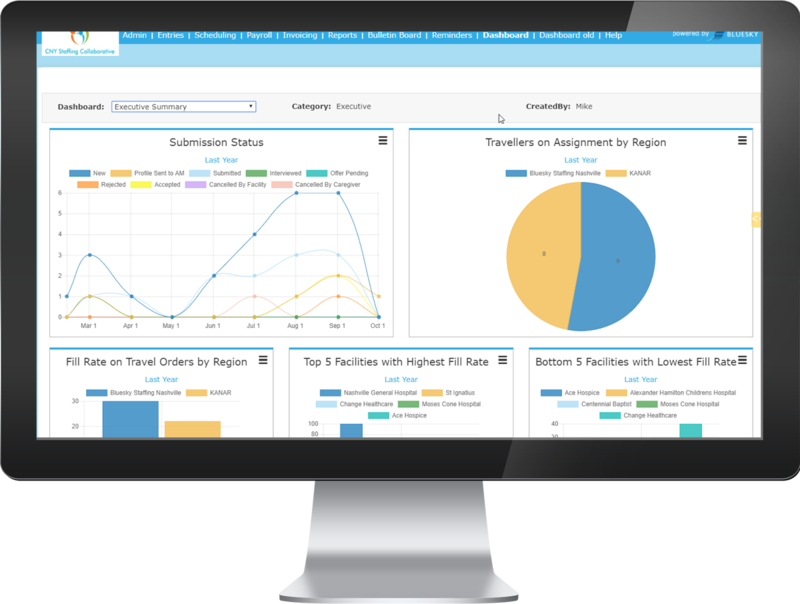 Track the Key Performance Metrics that matter to you. BlueSky has hundreds of reports and dashboards so you can keep up with submission status, time to fill, cancel rates, commissions, revenue, and so much more. Monitor your candidate pipeline, keep up with goals, and get a handle on your entire operations. 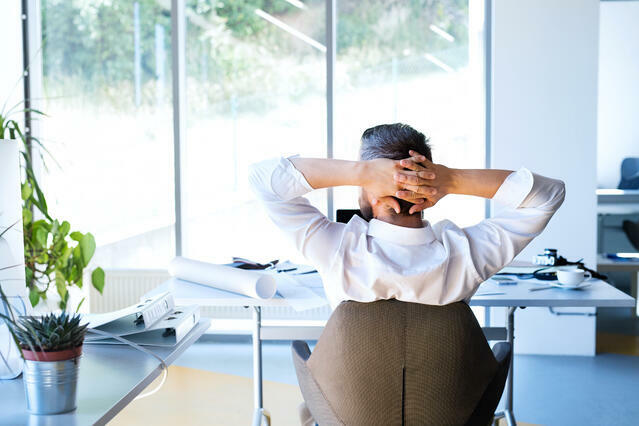 Upload, track, and completely manage all required documents to streamline your compliance process all in one system designed with you in mind. 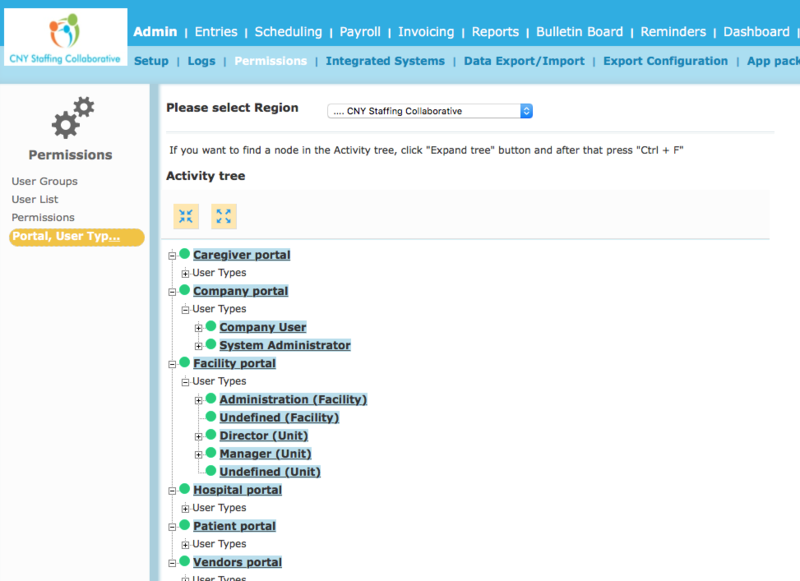 BlueSky allows you to set required credentials by Joint Commission, Facility, Unit, and Agency. Get expired document reminders and archive documents for future audits. 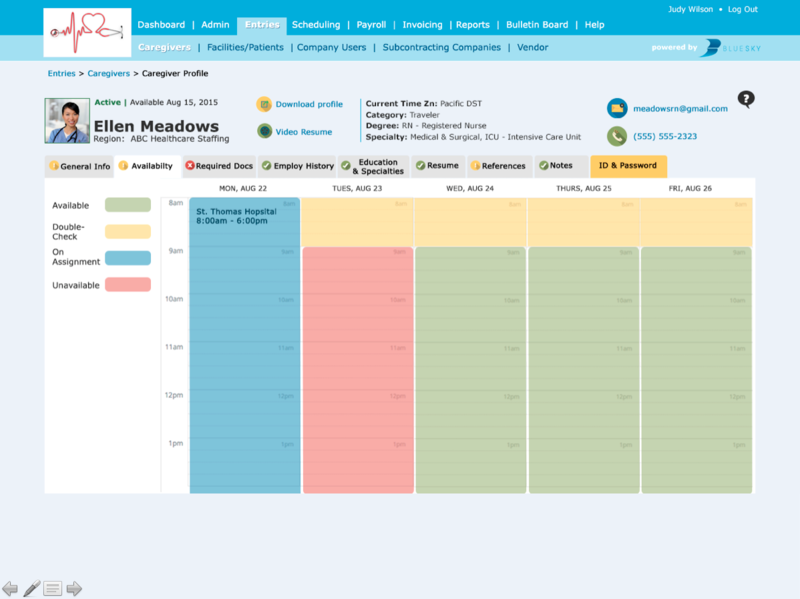 Over 2100 permissions exist within the BlueSky System allowing you to customize who can see what information. Set up different permission layers for clients, internal users, caregivers, subcontractors, units, and more to share what's most important for each level of user. 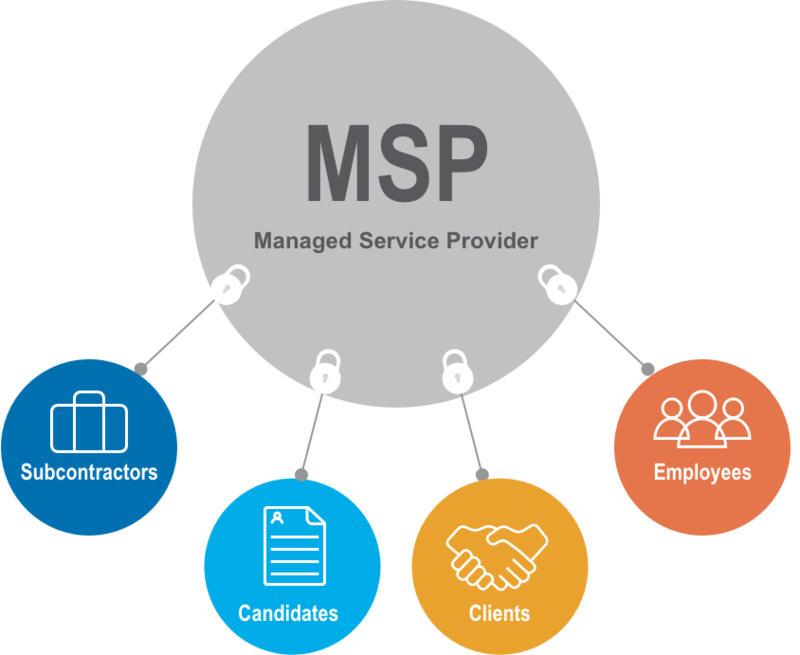 Be Your Own MSP with BlueSky's VMS. Flexible VMS platform allows you to automate and streamline processes you didn’t even think you could. 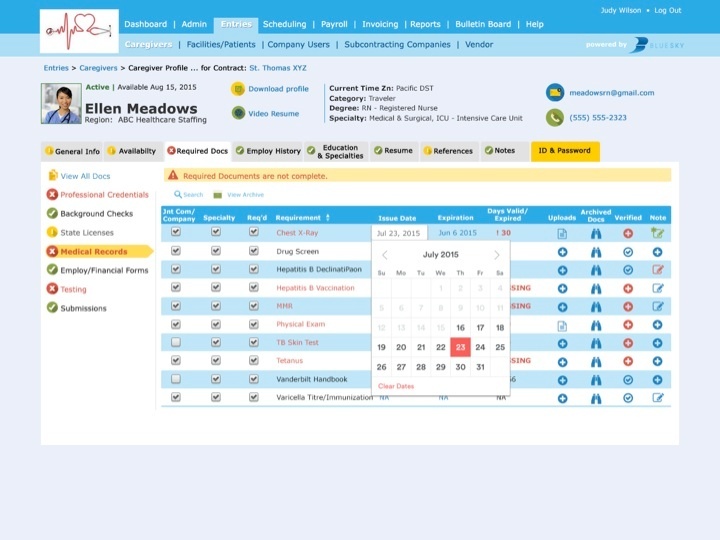 Customize time and attendance, automate payroll and invoicing, manage credentials, and operate within a total workforce management platform and ATS to maximize your resources, saving you time, paperwork, and money. BlueSky is adaptable and integrates with many of the systems you may already be using to help you automate your staffing workflow. Our system helps you reduce your workload by hundreds of hours with a simple click of a button. Caregivers are always on the go and don't have time to find a computer to view open shifts, email time sheets, or check their schedule. 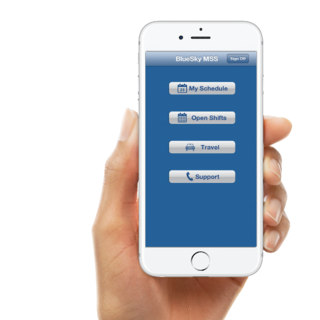 With BlueSky's mobile app, caregivers have the solution in the palm of their hand and can apply and confirm orders, clock in and out, view their schedule, and more. It's important to get your talent paid quickly and correctly. BlueSky can manage any pay frequency, and even has an integration to load cash cards, plus integrates with the most popular payroll systems so exporting invoicing to your accounting software is easy. 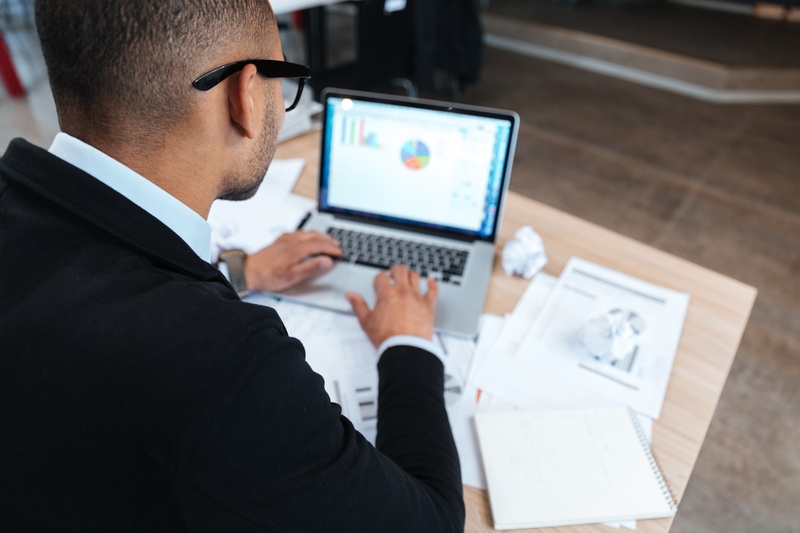 We know that you have to consider variable setups in billing weeks, pay weeks, overtime pay and billing, so each part of your back office is critical to operations. 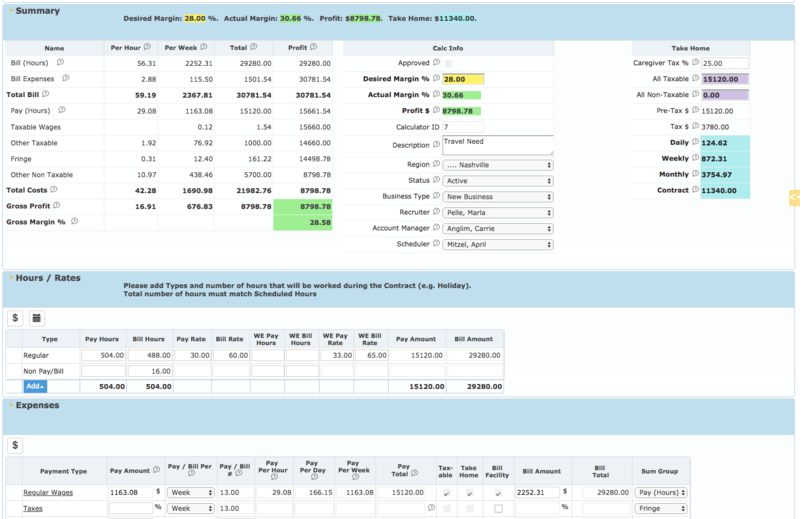 Completely streamline your processes, and custom format your invoices and billing for each client. Request a live demo from one of our team members.